There was a time , my mom used to make large quantity of homemade tomato sauce when the season was about to bid good bye !! Big , giant jars of homemade tomato sauce !! And she used to make so many dishes using this homemade sauce !! Oh !! those were the days !!! Tomato gosht !!! 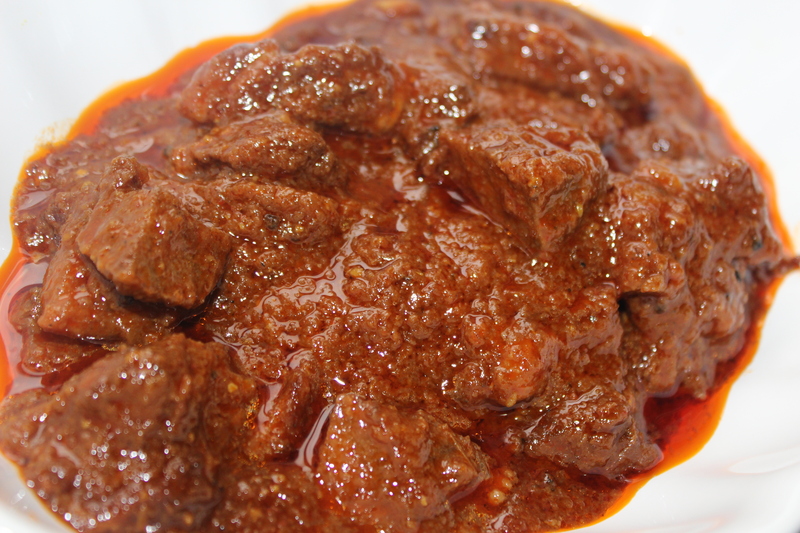 yes , there are several versions of this preparation .. almost every house has it’s own version in the subcontinent .Among them Hyderabadi tomatoar gosht is very popular , but my version is not Hyderabadi one . This one is inspired by my mom . She used to put lots of homemade tomato sauces or ketchup in her preparation.Mine one is completely my version . I used tomato paste ( store bought canned one) and the choice of spices is my experimental one !! I used few whole spices and the main spices that were used as grounded form is fennel powder , black pepper and clove powder and ofcourse cumin powder !! I loved my version , hope you would like it too .. 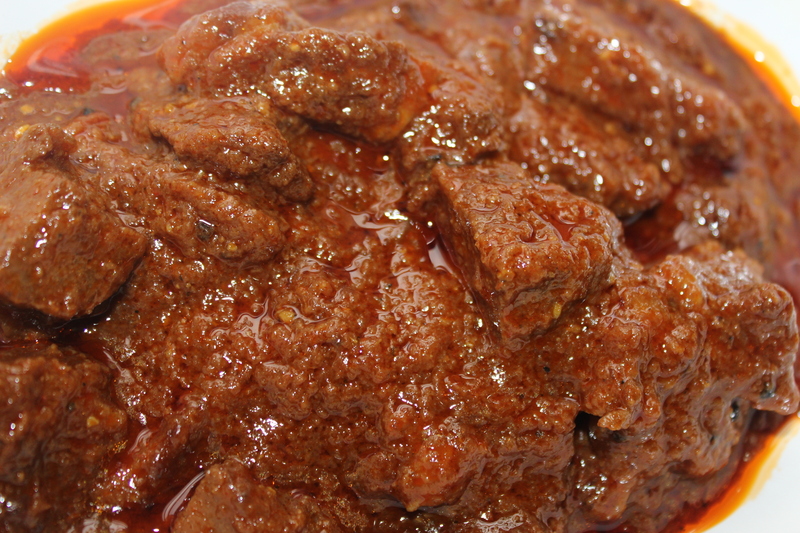 Try it in upcoming kurbani Eid , a little different but mild aromatic version of beef bhuna . 1. Marinate the meat with onion paste , ginger paste , garlic paste, chili , turmeric powder and whole spices like cardamoms , cinnamon stick and bayleaves . 2. Heat oil and fry the sliced onion until golden brown . Add the Marinated meat with the marinade and little water . Now Cook on low flame with lid on . The meat will release water too. When the water dries out , cook the meat adding water little by little , what we call in Bangla “Koshano” . Add the sliced ginger and whole garlic . When the meat is half done add salt ,tomato paste and chopped tomato . Add water and cook with lid on. 3. At the end add the fennel/ mouri powder , clove and black pepper powder , jeera/ cumin powder and garam masal powder . You can add some fried garlics too at the end , that enhances the aroma , as garlic goes very well with tomatos . Or you can just use them as garnish .